With a Derby Days theme, we got this annual fundraiser off and running with a distinctive invitation that featured thoroughbred visuals and jockey silk motifs. 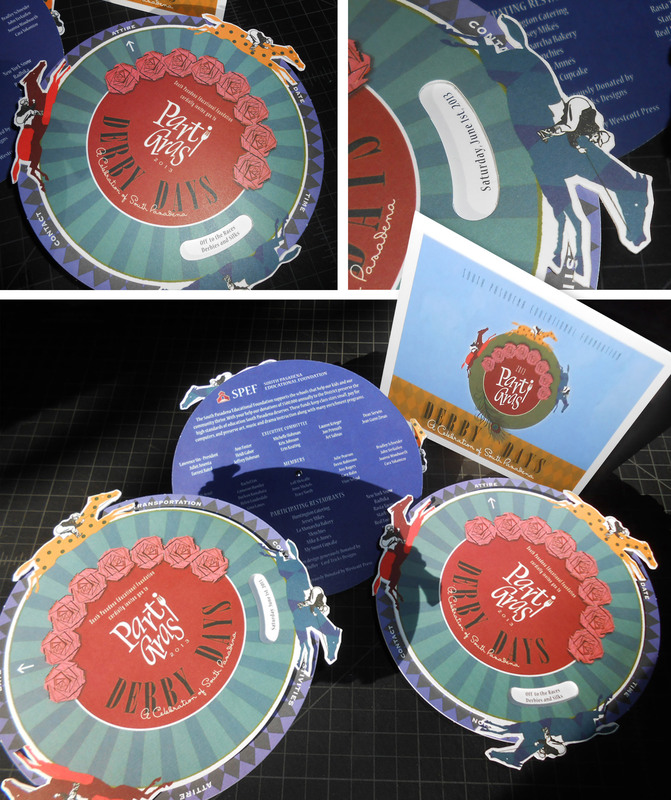 The spinner design provides a racetrack feel and, when turned, the die-cut windows reveal the event information. Attracting an excited crowd, this fundraiser brought in a record purse for the South Pasadena Educational Foundation.